Um, have you ever heard of cottonseed oil (at least, in terms of food)? Yeah I hadn't either until I met the super cool people of Acala Farms. And then they sent me their whole array of oils to try. SO COOL, guys! Also, turns out, cottonseed oil is not a new thing, it's been used it tons of products for, like, ever. Who knew?! Acala Farms wants you to experiment, explore, discover, and share the flavor, share the food, share the fun. 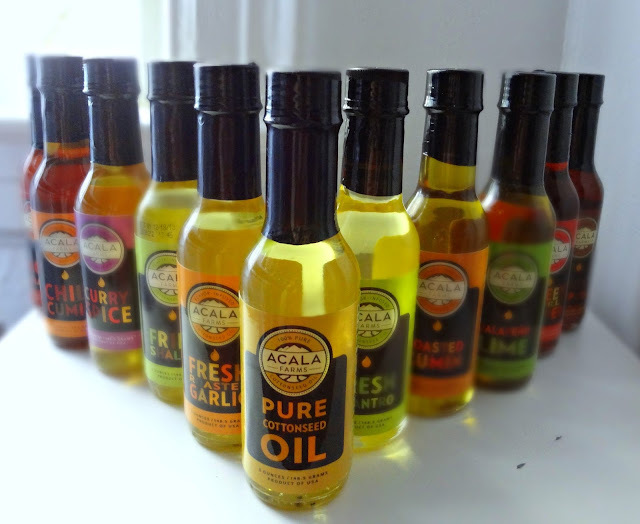 If you want to try some Acala Farms cottonseed oil, you can just place an order on their site: so simple! Disclaimer: I was provided with samples of Acala Farms Cottonseed Oil to try, but I was under no obligation to review if I so chose. Nor was I under any obligation to write a positive review in return for the free product. My opinions, as always, are all my own.